Unit Trusts are also known as collective investment schemes. They have grown in popularity in Kenya over the last two decades. There were virtually no unit trusts in 2001 but by 2016, there were 19 unit trust schemes registered by the Capital Markets Authority (CMA). These investments are the small investor's answer to diversification without the need to have a large amounts of money to invest. In a unit trust fund, money from many investors is pooled together and invested in a portfolio of money market instruments, bonds, shares and other authorized securities depending on the fund's objectives. Investors are known as unit holders and the fund earns income by way of interest, dividends and capital gain when the underlying securities increase in value. An investor invests in a unit trust fund by buying units at the prevailing price. The price is computed on a daily basis. Investors can sell the units back to the fund at the current buying price. 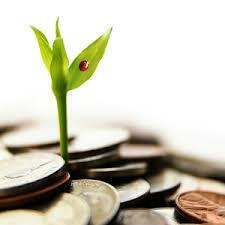 Management fees are charged to manage the fund, usually ranging from 1 - 3% of the fund balance annually. Some unit trusts also charge an initial joining fee of between 0.5 and 5% of the invested amount.